This entry was posted on December 11, 2010 by Russell Smith. 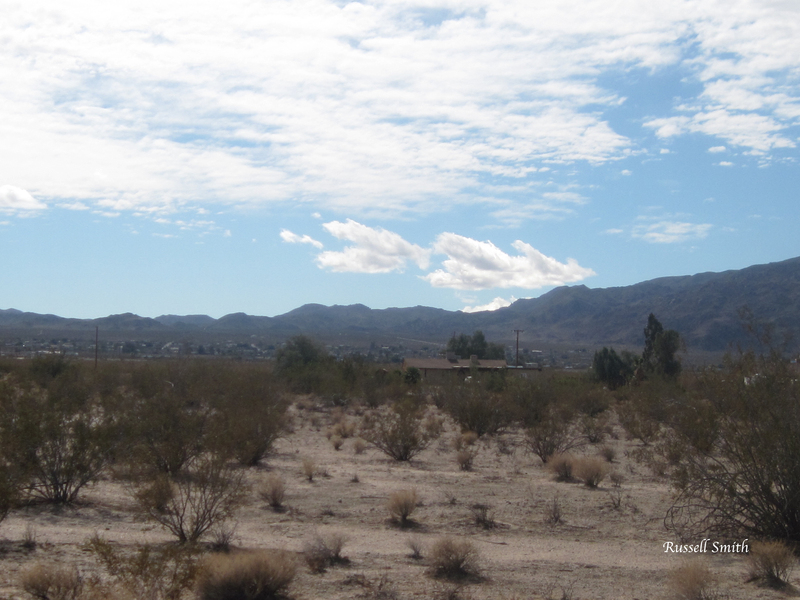 It was filed under Nature, Rural and was tagged with 29 Palms, California, clouds, desert, landscape, Roughly Manor, shrubs, Twenty-nine Palms. This reminds me of where we lived at Ft. Huachuca, AZ about 1979! I think the clouds make the photo. They look like feathers coming off the hills. Neat. I know! It’s the clouds on the top of the hills that sells this picture. You really hit the nail on the head!